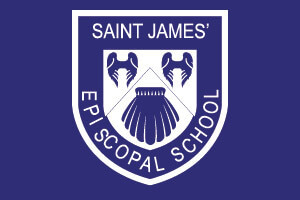 We're adding a Dance Program at SJS! Dance Revolution is an intro to dance movement taken from Hip Hop, Jazz, Ballet and Broadway! We hope to add more specific dance classes as we grow! Flag Football is another new addition to our SJS Roster. We hope to grow this into a SJS Team that will play other local schools. Congrats to SJS on their third season in the Hollywood Wilshire League Volleyball! Once again our students showed enthusiasm, determination and grace under pressure! We are starting our fourth Soccer Season in the Hollywood-Wilshire League for our 4th -6th Graders! And of course we will continue to schedule informal matches for all ages throughout the school year! We are proud of our players who have exhibited team spirit, were gracious hosts and enthusiastic athletes! It is gratifying to be a part of such a great community! Get ready to cheer on your favorite Husky Teams in Soccer, Basketball, Volleyball and Flag Football this coming year!